Our Volunteers are the key to the Market’s success- everything about the Market is volunteer driven, including our 100% volunteer organizing committee! We have only one seasonal part time paid position for our Market Manager. We have an amazing team of adults and youth volunteers. Our youth take on many roles that showcase and develop their skills. They are trained in proper food handling and sales at they work at our Market table. They learn a lot of skills, and we are very proud of their work! 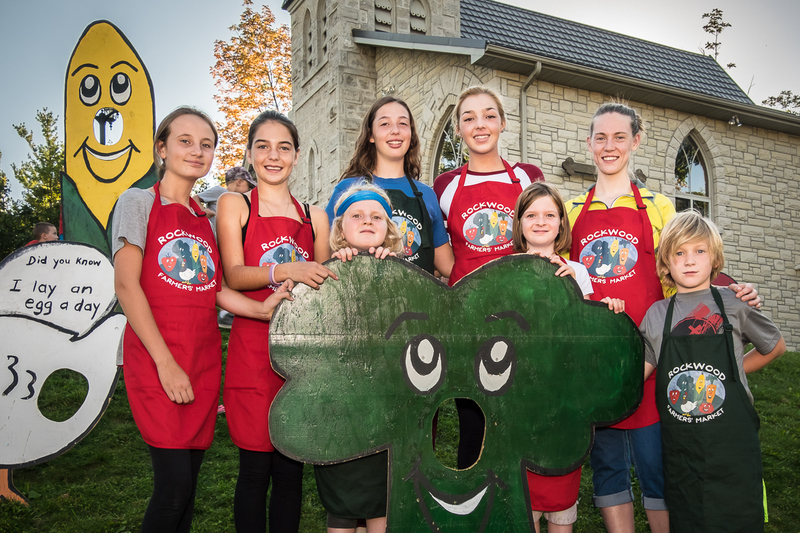 Youth Volunteers in grade 8 and high school may accumulate volunteer hours for helping at the Market! Do you have a special skill or passion that you can offer the Market? Would you like to get to know some members of your community, or learn some new skills? Can you offer as little as an hour to lend a hand? Please contact us! We are looking for a Social Media Co-ordinator and a Website Manager. Please contact us if you are interested in either of these volunteer positions. Click the button to receive information about becoming a volunteer at the Rockwood Farmers’ Market. We are happy to answer any questions you may have.